Countless couples find Lake Tahoe makes the perfect destination wedding. The unsurpassed natural beauty of our lake and surrounding mountains will add joy and excitement to your special day. From an elegantly simple exchange of vows on Lake Tahoe's pristine beaches to the most lavish lakefront wedding ceremony and reception, you can have the wedding of your dreams. 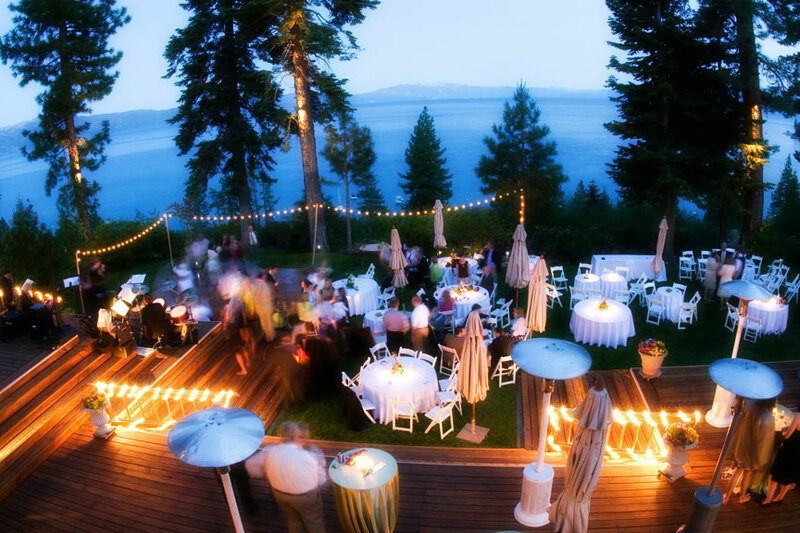 Lake Tahoe is a very popular destination for weddings. The venues book quickly, especially for summer weekends, so make plans and reservations well in advance. To simplify your wedding planning, Vacation Station has assembled the Wedding Directory found below to highlight local resources in North Lake Tahoe. If you have questions, we are happy to help. You might also consider using a Wedding Planner familiar with our area. A Lake Tahoe wedding is an opportunity to invite family and friends to attend your celebration and have a vacation holiday, too. As a premier four season resort, we offer nearly every outdoor activity imaginable. Our nightlife is around the clock action with casinos, dining and shows. Our Tahoe Visitors Guide has lots of ideas for entertainment. When planning lodging accommodations for your wedding party and guests, please remember that Vacation Rentals provide all the comforts of home, with more privacy and value than a hotel room. When you are ready to make your wedding dreams come true, we invite you to call.